Your hub for training and learning designed to help you create a workplace culture that drives your success. Understand how to define culture and master the essentials -- the foundation for optimizing your culture management. Everything you need to know to successfully understand and manage the multi-generational 21st century workplace, without the hype. Learn how we can help you create a culture that is aligned with growth and success. 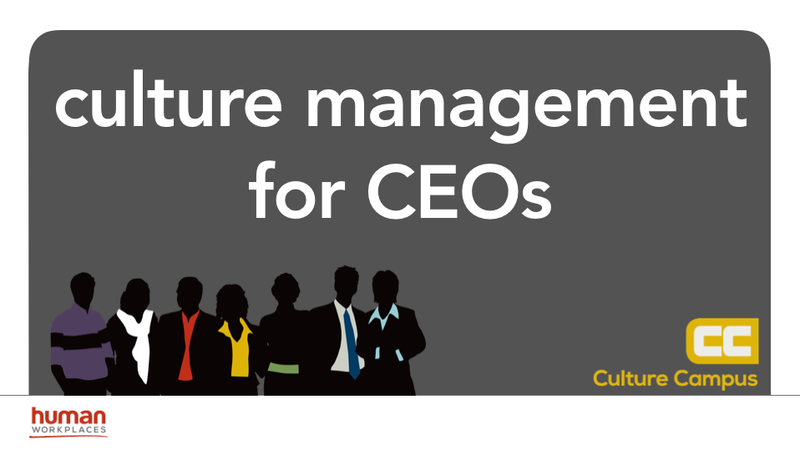 The core elements every CEO must master in order to intentionally design a powerful culture. 50-minute webcast with Jamie Notter revealing the secret to improving employee engagement.